To help entirely fill up your day with gaming, there's gaming magazines. After you've listened to the podcasts, caught up on the news, and checked out the video reviews, you can grab one of these and get some great tactical articles, or modelling articles, or some new scenarios. All sorts of stuff. 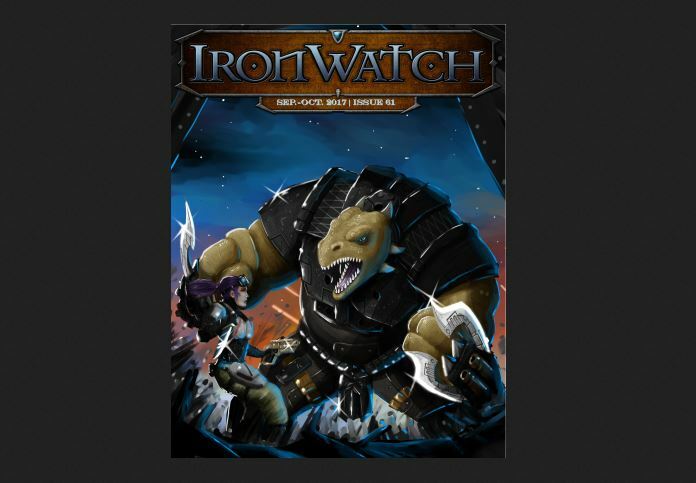 And that's just what you'll find in Ironwatch Magazine Issue 61, which is available now. Featuring three different tutorials as well as a thrilling tale of knightly heroics and terror, Issue 61 of the free Mantic fanzine introduces you to techniques for multibasing, a step-by-step quickpainting guide for Deadzone Asterians, an in-depth walkthrough for magnetizing an Enforcer Interceptor aircraft, and much more!